The new garden is soooooo beautiful! I’m very happy that Brian and I were patient and waited to get a plot here. The garden is organized, tidy and really a pleasure to work in. Recently, the garden had a work party and planted a perimeter of berry bushes – yum! And my plants are looking not-too-shabby! 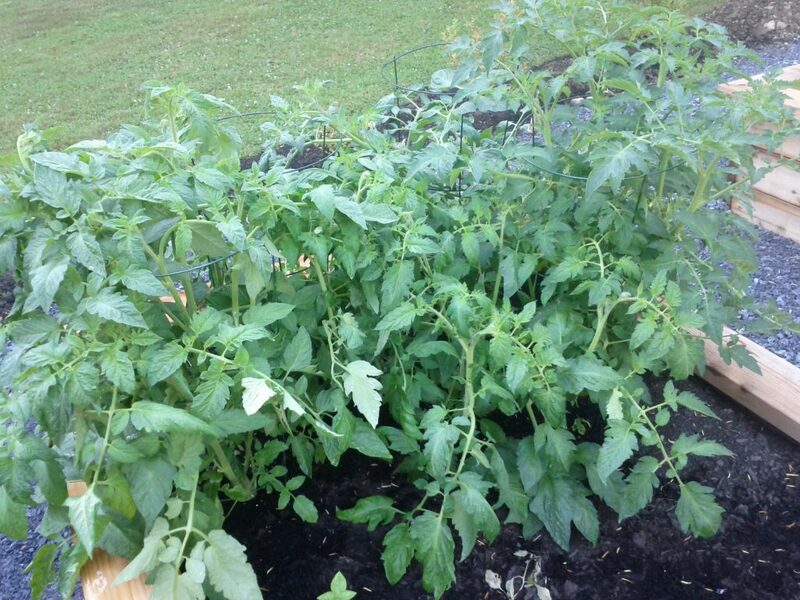 Always the stars of the show – the tomatoes are really lovin’ life in the ground! In only a month, the tomatoes have gone from being slightly yellow and scraggly to being green and full of life! There’s a lot of foliage that I’ll need to prune back at some point, but as you can see, we’re already starting to get tomatoes. We have a few different kinds of tomatoes here, including some basic cherry tomatoes and some tumblers. Finally I might have some luck with growing beans! Since they’ve been in the ground, the bean plants have really grown, adding lots of leaves and buds. I even have some little beans already! I only have two plants so far, but I have two more seedlings at home that I’m planning on planting this weekend. Not too much change with the lavender. When we bought it, it was a big bushy plant and it is still a big bushy plant. Later in the season, I’m going to cut some branches off and dry the leaves. We haven’t written off the old community garden entirely even though it has turned into a giant weed patch. It is kind of annoying that the other gardeners have not taken the time to care for their plots or the areas around there plots, but hey, what can you do. The tomatoes are actually doing a bit better! The plants are not as vibrant as the ones in the new community garden, but we have some tomatoes starting to grow. We have several different varieties in this plot, including a few heirloom plants. I’m hoping that our harvest will be at least enough to recoup our garden membership fee of $20. Our balcony garden has been absolutely fantastic so far. Everything is lush and beautiful. And best of all… there are a Freaking Huge Ton of Tomatoes. Yum! The herb planter has also been growing like crazy. I’ve already harvested some to use in pork chop recipes, but I expect to be able to dry plenty of thyme, rosemary and oregano this August! I am also still hoping to grow some watercress, which as you guys might remember, we grew last year at our old apartment. The only negative has been our Thai basil which has again failed to grow. I planted them with the tomato planter as a companion plant, but they wilted immediately and flowered. I’m not sure why I am so terrible at growing basil! How has everyone’s garden been doing this month? Any harvests yet? Nice! 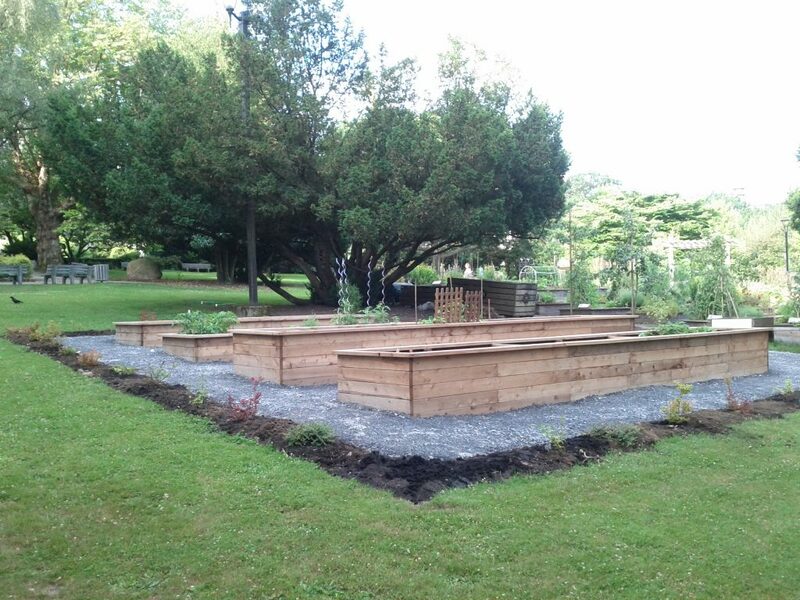 Those raised beds look great! Probably makes it really easy to remove weeds and maintain your garden! Nice garden! Planting a garden is something that I’ve always wanted to do, hopefully I’ll get to do it some day! My husband is a landscaper, so the last thing he wants to do when he gets home is muck around in our gardens. As such, our property always has a slightly disheveled look about it. It’s funny how that is eh? I work in software development, specifically web stuff, and I am SO unmotivated to tweak my own website lol. Tomatoes are so easy and usually produce a very good crop! Wow that really is a beautiful garden! Congrats! I have been slowly trying to get a spot in our yard ready for a garden, and recently it has taken a backdoor. I really really REALLY want to at least get the raised bed set up before the end of the Summer so next year all we will have to do is plant. It hard getting started. Once everything is in place though, it’s so much fun to poke around and enjoy on a nice summer day. I am totally jealous of your garden! It looks absolutely beautiful. Jealous. Thats a nice size garden you must have a good sized lot. Things are looking good over there. Beans and sweet potatoes are my favorites not really a tomato guy would have to plant those for the wifey. Keep up the great work its paying off. I’ve never planted potatoes actually. Might have to try that next year. We grow a lot of tomatoes because it’s easy and goes into so many recipes. You guys are kicking it! Except for our peas, everything in our garden is doing well too! 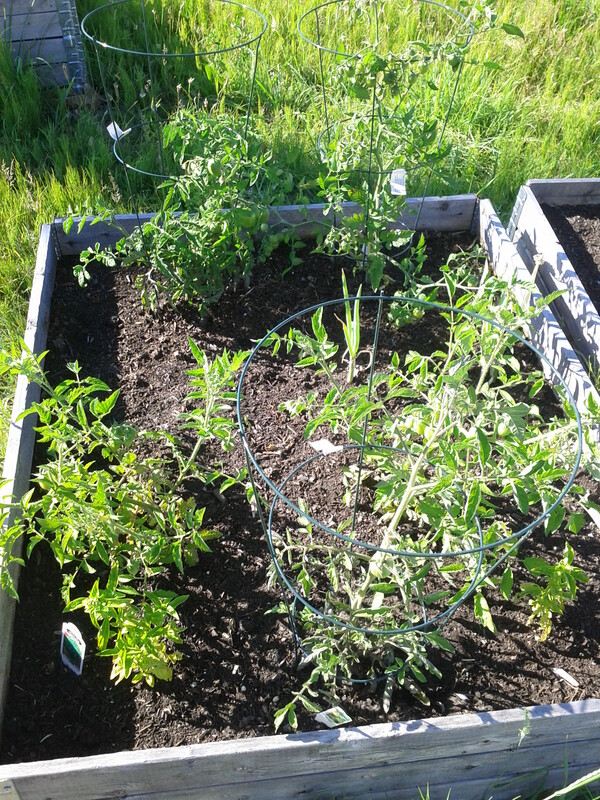 Tomatoes, beans, peppers, onions, cucumbers – all of it is doing great. We had some cukes today for lunch and they were delicious. OH, and we picked a big bowl of black raspberries from the yard too today – YUM! Nice! I’m jealous of your crop! Our harvest tends to come a little later and our early finishers (all planted in the old garden) didn’t do so well this year. Things look like they’re going great! Green beans are my faves! Hope they keep thriving! I’m pretty happy with the results so far! 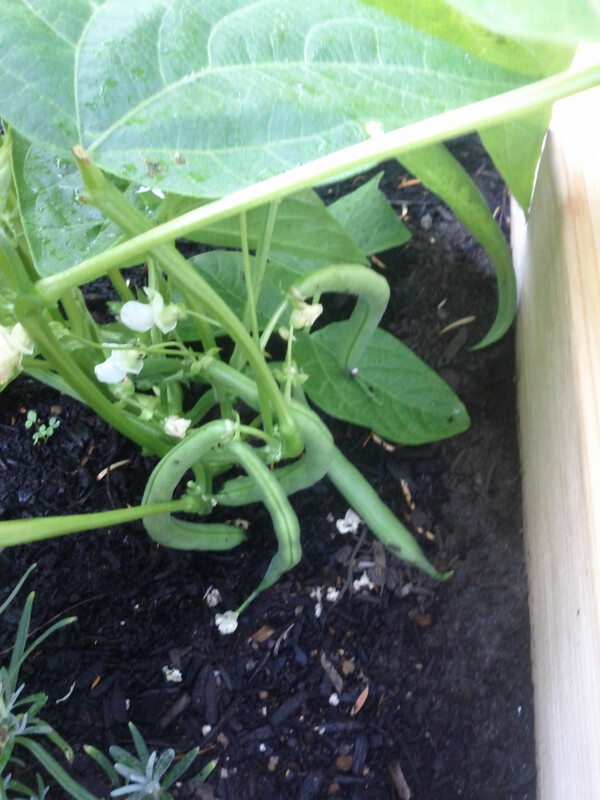 This is the first year that green beans have worked out for me. You can always start with a small planter. That’s what my balcony consists of – several small planters. I wish I had the same. Gardening is definitely an exciting thing to do. It looks really beautiful and I’m jealous because I’ve been thinking of making one but haven’t had the chance to do it since I’m busy with work. Herbs can be a good way to start. Shrubby herbs like lavender, thyme and rosemary require very little attention!